Another Court of Honor is upon us. SS has been in scouts the last 2 years 6 months or so. It has only been 2 years and 6 months? With all the camp outs, activities, popcorn sales, I swear it has been longer. For the he most part he is still a quiet and politeful boy young man, but has grown more comfortable around the other boys and has no issues goofing off with them. It's amazing to see him be the young man that he is really becoming. Yes he's still filled with a joyful and child like spirit, but he also has a bit of a serious side, a grown-up side. He has a take charge, just do it attitude. Just today the gate we use to keep Puggy, our dog, in the living room/kitchen area and away from the bedroom area of the house broke. I didn't even noticed it broke, but SS did and right away set to try to fix it. He didn't even say anything to me, he just went to work. Last night I observe him, while helping to run games at a Halloween party with the other scouts, telling the fellow scouts where their help was needed at various stations. He just noticed the need and let others know about it. Tonight at Court of Honor SS will receive various merit badges he has earned over the last 6 months or so. 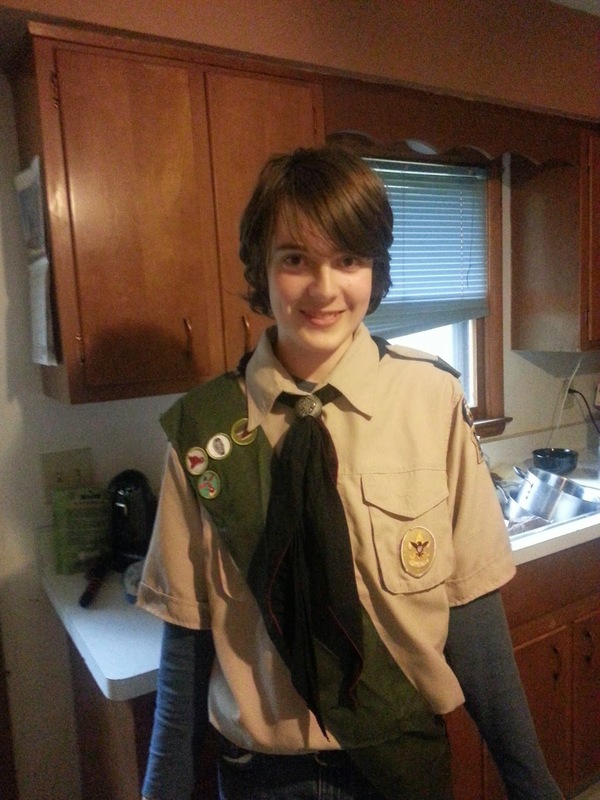 Currently he is First Class Scout, working towards a Star Scout. 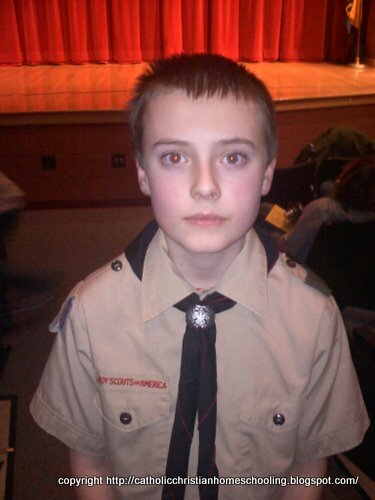 He just needs a few Eagle required merit badges to make Star Scout. He's working on several of them right now and is almost completed them, but just didn't get them in done for this Court of Honor. Hopefully he will have them done by next Court of Honor in the Spring.